... I'm wondering what kind of modification this will be.
! This is pdfTeX, Version 3.14159265-2.6-1.40.19 (TeX Live 2018/W32TeX) ! (preloaded format=pdflatex) \write18 enabled. entering extended mode ! (./minimal.tex LaTeX2e <2018-12-01> ! (c:/texlive/2018/texmf-dist/tex/latex/base/article.cls Document Class: ! article 2018/09/03 v1.4i Standard LaTeX document class ! (c:/texlive/2018/texmf-dist/tex/latex/base/size10.clo)) ! (c:/texlive/2018/texmf-dist/tex/latex/bashful/bashful.sty ! (c:/texlive/2018/texmf-dist/tex/latex/xcolor/xcolor.sty ! (c:/texlive/2018/texmf-dist/tex/latex/graphics-cfg/color.cfg) ! (c:/texlive/2018/texmf-dist/tex/latex/graphics-def/pdftex.def)) ! (c:/texlive/2018/texmf-dist/tex/generic/oberdiek/catchfile.sty ! (c:/texlive/2018/texmf-dist/tex/generic/oberdiek/infwarerr.sty) ! (c:/texlive/2018/texmf-dist/tex/generic/oberdiek/ltxcmds.sty) ! (c:/texlive/2018/texmf-dist/tex/generic/oberdiek/etexcmds.sty ! (c:/texlive/2018/texmf-dist/tex/generic/oberdiek/ifluatex.sty))) ! (c:/texlive/2018/texmf-dist/tex/latex/xkeyval/xkeyval.sty ! (c:/texlive/2018/texmf-dist/tex/generic/xkeyval/xkeyval.tex ! (c:/texlive/2018/texmf-dist/tex/generic/xkeyval/xkvutils.tex ! (c:/texlive/2018/texmf-dist/tex/generic/xkeyval/keyval.tex)))) ! (c:/texlive/2018/texmf-dist/tex/latex/base/textcomp.sty ! (c:/texlive/2018/texmf-dist/tex/latex/base/ts1enc.def ! (c:/texlive/2018/texmf-dist/tex/latex/base/ts1enc.dfu))) ! (c:/texlive/2018/texmf-dist/tex/latex/listings/listings.sty ! (c:/texlive/2018/texmf-dist/tex/latex/listings/lstmisc.sty) ! (c:/texlive/2018/texmf-dist/tex/latex/listings/listings.cfg))) ! (./minimal.aux) (c:/texlive/2018/texmf-dist/tex/latex/base/ts1cmr.fd) ! (c:/texlive/2018/texmf-dist/tex/context/base/mkii/supp-pdf.mkii ! [Loading MPS to PDF converter (version 2006.09.02).] )Der Befehl ! "bash" ist entweder falsch geschrieben oder konnte nicht gefunden ! werden. system returned with code 1 ! ! L6: I will now print the contents of file minimal.stderr (if found) ! L6: File minimal.stderr was empty L6: Proceeding as usual L6: Checking ! whether any listings are required L6: Nothing has to be listed L6: ! Defining macro for the contents of the standard output file L6: Opened ! file minimal.stdout L6: File minimal.stdoutwas empty after EOF L6: ! bashStdout := \bashStdout ! ! L6: Closing file minimal.stdout L6: Defining macro for the contents of ! the standard error file L6: Opened file minimal.stderr L6: File ! minimal.stdoutwas empty ! Undefined control sequence. ! ...nputlineno : bashStderr := \bashStderr ! ! l.6 \END ! ^^M ? L6: bashStderr := ! ! ! L6: Closing file minimal.stderr L6: Wrap up done L6: bashV: Done! ! (./minimal.aux) ) No pages of output. Transcript written on ! minimal.log. PS ! D:\OneDrive\Dokumente__Projekte\TEX_Bilderliste\minimal> PS ! D:\OneDrive\Dokumente__Projekte\TEX_Bilderliste\minimal> pdflatex ! -shell-escape minimal.tex This is pdfTeX, Version 3.14159265-2.6-1.40.19 (TeX Live 2018/W32TeX) (preloaded format=pdflatex) \write18 enabled. entering extended mode ! (./minimal.tex LaTeX2e <2018-12-01> ! (c:/texlive/2018/texmf-dist/tex/latex/base/article.cls Document Class: ! article 2018/09/03 v1.4i Standard LaTeX document class ! (c:/texlive/2018/texmf-dist/tex/latex/base/size10.clo)) ! (c:/texlive/2018/texmf-dist/tex/latex/bashful/bashful.sty ! (c:/texlive/2018/texmf-dist/tex/latex/xcolor/xcolor.sty ! 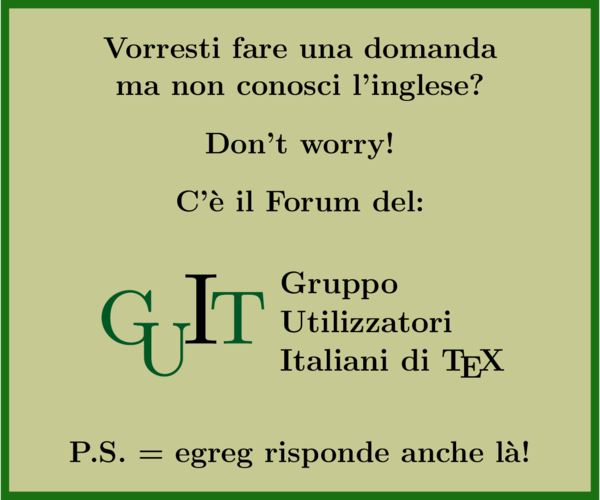 (c:/texlive/2018/texmf-dist/tex/latex/graphics-cfg/color.cfg) ! (c:/texlive/2018/texmf-dist/tex/latex/graphics-def/pdftex.def)) ! (c:/texlive/2018/texmf-dist/tex/generic/oberdiek/catchfile.sty ! (c:/texlive/2018/texmf-dist/tex/generic/oberdiek/infwarerr.sty) ! (c:/texlive/2018/texmf-dist/tex/generic/oberdiek/ltxcmds.sty) ! (c:/texlive/2018/texmf-dist/tex/generic/oberdiek/etexcmds.sty ! (c:/texlive/2018/texmf-dist/tex/generic/oberdiek/ifluatex.sty))) ! (c:/texlive/2018/texmf-dist/tex/latex/xkeyval/xkeyval.sty ! (c:/texlive/2018/texmf-dist/tex/generic/xkeyval/xkeyval.tex ! (c:/texlive/2018/texmf-dist/tex/generic/xkeyval/xkvutils.tex ! (c:/texlive/2018/texmf-dist/tex/generic/xkeyval/keyval.tex)))) ! (c:/texlive/2018/texmf-dist/tex/latex/base/textcomp.sty ! (c:/texlive/2018/texmf-dist/tex/latex/base/ts1enc.def ! (c:/texlive/2018/texmf-dist/tex/latex/base/ts1enc.dfu))) ! (c:/texlive/2018/texmf-dist/tex/latex/listings/listings.sty ! (c:/texlive/2018/texmf-dist/tex/latex/listings/lstmisc.sty) ! (c:/texlive/2018/texmf-dist/tex/latex/listings/listings.cfg))) ! (./minimal.aux) (c:/texlive/2018/texmf-dist/tex/latex/base/ts1cmr.fd) ! (c:/texlive/2018/texmf-dist/tex/context/base/mkii/supp-pdf.mkii ! [Loading MPS to PDF converter (version 2006.09.02).] )Der Befehl ! "bash" ist entweder falsch geschrieben oder konnte nicht gefunden ! werden. system returned with code 1 ! ! L6: I will now print the contents of file minimal.stderr (if found) ! L6: File minimal.stderr was empty L6: Proceeding as usual L6: Checking ! whether any listings are required L6: Nothing has to be listed L6: ! Defining macro for the contents of the standard output file L6: Opened ! file minimal.stdout L6: File minimal.stdoutwas empty after EOF L6: ! bashStdout := \bashStdout ! ! L6: Closing file minimal.stdout L6: Defining macro for the contents of ! the standard error file L6: Opened file minimal.stderr L6: File ! minimal.stdoutwas empty ! Undefined control sequence. ! ...nputlineno : bashStderr := \bashStderr ! ! l.6 \END ! ^^M ? The highlighted part means: The command "bash" is either misspelled or could not be found. This indicates that there is a very essential problem with the setup, right? Can anyone please shed some light? Thanks in advance! First I'd like to highlight that this would be a Windows-10-way only, since you have to activate some Windows-10-specific things. Windows 8 & 7 etc. users have to look for corresponding tutorials. Windows does not use bash or anything shell-alike (in the unix sense). What we get is a ubuntu-bash by canonical. WIN + type "bash" will open the bash terminal. Alternatively - cmd: type "bash" - Powershell: type "bash"
Not the answer you're looking for? Browse other questions tagged tex-core bashful or ask your own question. How do I install an individual package on a Linux system? how to open old 'tex metric font' file in ubuntu/windows? how to use output of bashful splice to assign it to a Latex counter? Why this bashful input fails? How to Bashful this find into this LaTeX animate? How to quit TeX in interactive mode on CLI in Windows 10?